A great deal on one of the DRZ400 skid plates available the DRZ400 MSR Racing Skid Plate $95.95 (free shipping). 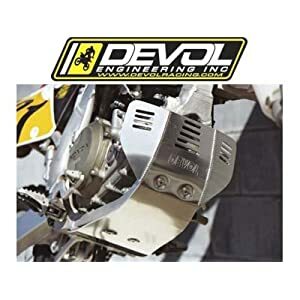 Review: I have used this skid plate on my DRZ400 for about 3 years now and it has been solid. It has taken a beating and had done a great job of protecting the frame from rocks and sagebrsh of the Nevada high desert. Highly recommended and worth the cost. Not to mention it is easy to install and fit was perfect.